You have recently written about your attraction to Gerrer Chassidus. What specifically did you find in Gerrer seforim that you did not find in other seforim that you have learned? Could you imagine yourself becoming a Gerrer Chassid one day? Gerrer Chassidus is something beautiful. Not to say that any other form of Chassidus lacks but Gerrer has something in it that ignites my neshama. A Chabad Chasid once told me "Our Chassidus is Chabad and all the rest of Chassidus is Chagas." I smiled reviewing that weeks parsha that the Sfas Emes delivered a maamer on some 130 years ago. I thought that if this Yid thinks that only Chabad has knowledge wisdom and understanding he has never read anything by the Sfas Emes. My exposure to Chassidus is limited to Chabad, Breslov, Bostoner, and Gerrer Chassidus. What really attracts me to the Sfas Emes is his emphasis on Shabbos and the Weekday. Ger Chassidim were very poor and Kollel wasn't an option. Even the Sfas Emes and his grandfather the Chiddushei HaRim had businesses. Since I have a job and can't devote my whole day to learning, I especially rely on Shabbos to bring kedusha into my life. The Sfas Emes always goes the non-pshat route and the end result is always inspiring. Sure, all Chassidus is intellectual and really makes you understand the deepness of the Torah, but until the Sfas Emes I was never giddy when learning. I'm talking about clap your hands like you are 6 years-old excited. Once I was at a shuir at a very Litvak shul and the Rav quoted the Sfas Emes and the Yidden soaked up every word. That's when I knew he wasn't just any Rebbe. Because even the Litvaks respect his teachings which ones again unites Jews and leaves behind the segregation of Chassidish and Misnagish Torah. Which also made me realize or so it seems that only Chabad continues the terminological mishugas of the Misnag vs Chasid. Pesach was a defining moment in my learning of the Sfas Emes. I actually quoted him as I spoke in front of a Chabad Shul on the last days of Pesach. It was my first time speaking Torah in front of a large group and I wasn't sure how they would take hearing Torah from someone other than their Rebbe. In his maamer on Pesach he takes the pasuk of the Hagadah that says that every year we should celebrate as if we are personally leaving Mitzrayim. So instead of trying to picture ourselves as slaves 3000 years ago leaving Egypt the Sfas Emes takes it as usual right out of Pshat mode. He says we should look at what Mitzrayim represents. It represents the truly evil, mundane, and materialistic. This is all still here in Galus. He is saying that to relive the exodus we much bring it into our own life and like they Yidden of Egypt we must leave behind all that Mitzrayim represents today. It really stuck with me how the Sfas Emes always makes the Torah relate to his Chasidim. Even 137 years later I am able to relate to him on the other side of the world from where he once lived. Other Rebbes do this, but it is unique for me at least in the way the Sfas Emes does this. Yes he is able to get the deep understanding from the Torah and explain what the stories represent and how things happened, but to really connect as a Jew for me at least it is to do like the Alter Rebbe of Chabad said "Live with the times". 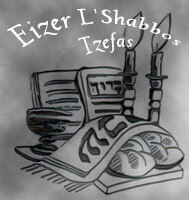 I'm able to guide my life with Torah based on the teachings of the Sfas Emes. He tells us that if you cant sit in a room and learn Torah all day, that you can go out to work during the week and find Holiness because everything is from HKB. That not only can the Shabbos make the weekday more holy but vice versa. Its not that other Seforim lack this, but I just relate better to the way the Sfas Emes relays his message. I could become a Gerrer Chassid. 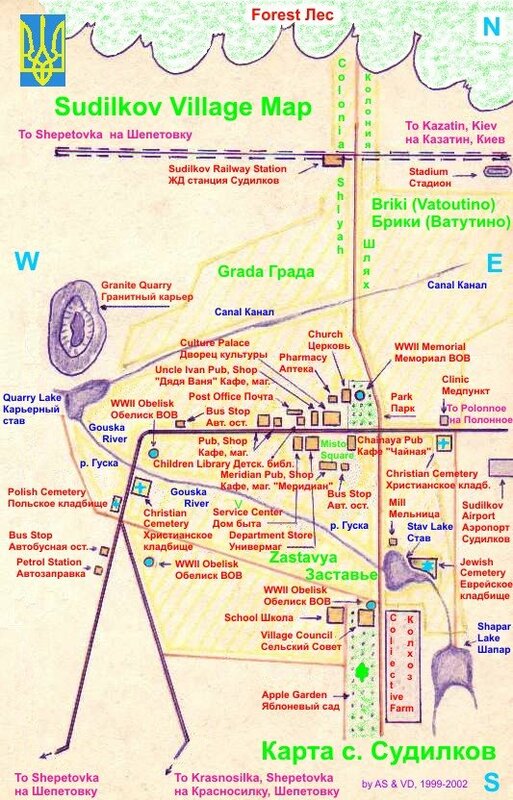 However, I don't know how the politics work now that the shtetl life is gone. Pre-War I could have simply traveled to Ger but I'm not exactly sure how this works now. Do they accept baal teshuva easily? Now that I'm married I also have a wife to consider. Is the way the woman dress, their freedom, etc conflicting with the ideals of my wife. As for now our plan is to learn in Israel for a month in July and daven at their shul, and speak to some of them. I pray that Gerrer Rebbe and chassidim of today reflect what I feel the Sfas Emes stands for, and if this is the case then we found our place. Thank you for sharing your thoughts and feelings about your relationship with Gerrer Chassidus in general and the Sfas Emes in particular. I also find the Sfas Emes's encouragement for working people to be particularly attractive. Coming from a Litvishe background with the frustrating notion that everyone should be encouraged to become the gadol hador, the Sfas Emes was like a breath of fresh air. It blew me away. A note about the relationship between Chabad and Ger. The Sfas Emes quotes the Tanya and Likutei Torah. There is a strong connection between them. Why do you think the Gerrer Rebbes seem to be Artscroll's Chassidic Rebbes of choice? They seem to be oft quoted in the Stone Chumash and other Artscroll books. What is it that makes Gerrer Chassidus more palatable to Litvaks over other forms of Chassidus? The Gerer always made learning the ikkar of one's avoda, and their Rebbe's were all g'dolei Torah. So that is why the Litvish always had kavod for them. Although the Torah of the Sfas Emes and others is a very Chasidish derech, the Sfas Emes on Shas reads like emesen Litvishe Torah. So the Litvaks saw that they could trust Ger, that they were the real thing. I know there were instances were it seems I might have attacked Chabad, but I was simply relaying certain experiences Ive had. I thought by quoting a powerful message by the Alter Rebbe of Chabad it would balance that out. Thats another thing that attracts me to Ger over other Chassidus while looking from the outside in because my parents are Chabad Chassidim and even though Chabad Chassidus doesnt speak to me I could never follow a group that looked down on Chabad or any Jew frum or not frum. We are all in this together and the past parshas have shown us that only with unity does Klal Yisroel have it true power. I did learn that there would be quite a language barrier between me and Ger since I speak neither Yiddish or Hebrew. So I need to work on that. Bezrat Hashem we will be in Israel in 2 weeks! On a side note I just purchased the english tranlation of Noam Elimelech and its like a Forest Fire of Torah. All I read was the intro and Chukas. LBC - Did you grow up as a Lubavitcher or did your parents later become mikareved through Chabad? My parents were mikareved through Chabad in early 2000 and i follow after them. Chabad is great for them and has really made them happy and their love of Torah is ever growing because of them. I dont know why it doesnt click for me. It would be a lot easier in a sense. My parents are Chabad. My very close friends are Chabad. At my wedding I think there were at least twenty Chabad Rabbis and their families. There are many many aspects of Chabad Chassidus especially the Torah that speaks to me and I enjoy learning it but I need more than just great Torah and I think that Gerrer Chassidus or someone else might be able to fill that void. No hate for Lubavitch though. Ahavas Yisroel. They brought me to the gate now I just have to find the key. lbc, thanks so much for posting! 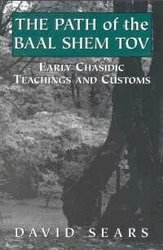 rav nosson chaim leff just published a fine volume of very nice sfas emes, taken from his shiurim on torah.org. it's called 'emes v'emunah'. also, there are several volumes by moshe a. braun. he has a gift for presenting the feeling and ikar of sfas emes ideas in a very readable way. these two writers i don't know how widely known they are but maybe a simple jew can feature them so more people know. the sfas emes does not have to be "hard". these two writers make it very very understandable and successfully communicate the wonderful insights of this amazing rebbe! i write this in honor of my great grampa, a'h, who was mamish a talmid of the sfas emes. bH! i heard that he said of his teacher that he was very funny and often made jokes. singing niggunim was a very important part of my great grampa's life. so it's beautiful what we can learn from such a min hashamayim rebbe. i didn't even know about this until just a couple years ago when my rabbi told me who the sfas emes was, mamish. may all the yidden be unified in love and appreciation of each other's rebbes. i love gerrer, breslov, chabad, all the teachers who have ahavas yisroel!!!! LBC, maybe you want to talk my my cousin in Israel. He is Gerrer in Yerushalayim and speaks fluent English. I would very much like that. My email is found on my blog. Another reason why the Sfas Emes might be so respected in the litvishe world is because he also has a commentary ("Sfas Emes") on Shas, and it's a very serious commentary. This is obviously a very different type of commentary than his comments on the Chumash, but like was mentioned earlier, it helped to establish his "legitimacy" in the other of many who are not otherwise partial to chassidus. Does anyone know the minhag to which the Sfas Emes davened? There is a siddur with German translation titled 'Siddur Sefat Emet', compiled by the late R' Bamberger (I think his first name was Nathan) of Berlin, now published in Basel, Switzerland,which is the 'standard' Ashkenaz nusach. i realize there may be no connection between this siddur and the minhag of the Gerer Rebbe. 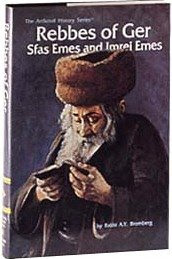 No connection between the siddur called "sfas emes" and the gerrer rebbe who davened "Sfard". Wonderful Post thnaks for your insight. What is Ger's feeling on the state of Israel? It would be hard for you to become a gerrer chassid as they have very strict rules regarding kedisha vteharah. Your wife would probably not agree to be treated as nidda 24/7/365 and only have relaions every other friday night. But definitley the Sfas Emes on Shas is amazing and ayin panim latorah so good luck on the right path. I understand now why Long Beach Chassid says Ger does something for him spiritually that other schools of Chassidus don't. I recently bought the Artscroll book "The Gift of Shabbos" which is a few hundred vignettes on Shabbos based on Sfas Emes. This learning electrifies my neshomo! I've learned Tanya, Likutey Torah of Reb Motel of Chernobyl, Meor Einayim of Reb Menachem Nochum of Chernobyl, and Noam Elimelech, but none of these sforim is as spiritually satisfying as Rabbi Stern's English book based on Sfas Emes. Ger, Ger, Ger! In answer to Levi Yitzchok's question, Ger, like Chabad, is very pro-Zionist. Scratch the previous comment. I have since returned to learning Tanya and davenning the Chabad siddur Tehillas Hashem al pi nusach ha'Ari. I did this because the Artscroll siddur was no longer doing it for me. I have found that Tanya is even more satisfying than the Artscroll book on Sfas Emes re Shabbos. This is because Tanya is 100% heavy-duty Kabbalah! Looking back on this post from 10 years ago is a moment of deep self reflection. 7 years ago when my 2nd son was born on Erev Rosh Hashanah, the birthday of the Tzemach Tzedak it became clear to me that Chabad was the path for my family, as it was for my Baal Teshuva parents. The short story is I am an active Lubavitcher with 4 kids in the system and feel I have all the tools I need from the Rebbe and the leaders before him to lead a spiritually fulfilling life. What a journey. Still in process. Just felt the need to update.